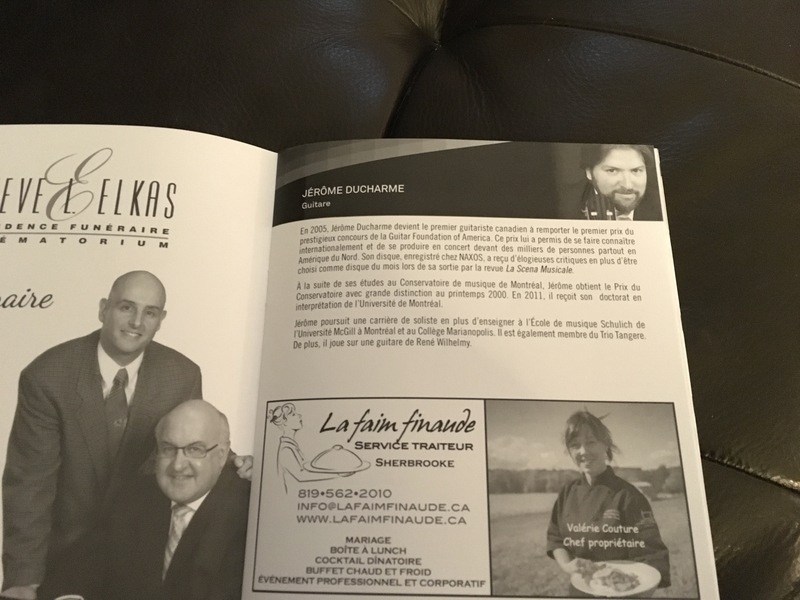 A beautiful program of Spanish music that the Sherbrooke Symphony Orchestra, under the direction of Chef Stéphane Laforest, presented on Sunday, March 17th. 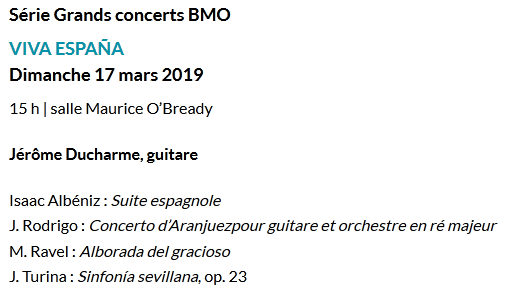 Works by composers Albéniz, Ravel, and Turina were on the program and, the famous «Concierto de Aranjuez» by Joaquim Rodrigo. 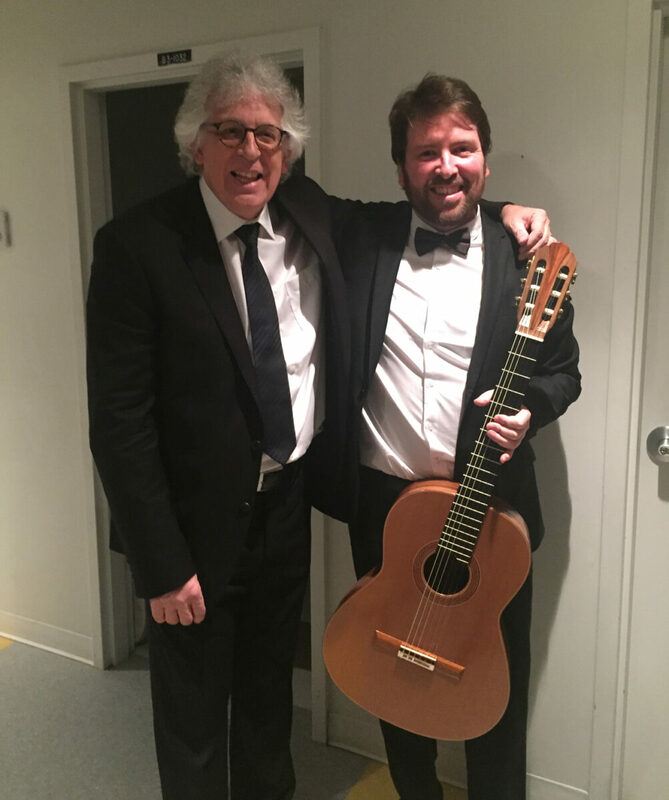 Jerome performed the concerto with his 2015 Cedar top / Brazilian guitar. His appreciation of the instrument for the event was highly satisfying and for me, very pleasant to hear!